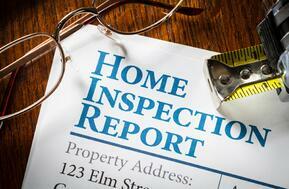 Are you a home inspector looking for a licensed radon testing company? you have come to the right place! Why you should partner with us for your Radon Testing? Are you a home inspector in Ohio that wants to offer Radon Testing as one o f your services, but does not want to go through the long, expensive process of obtaining your license? or maybe you don't want to deal with picking the test up 2 days later? We can help with both of your dilemmas. Radon Eliminator has a team of licensed radon testing and mitigation specialists who will partner with you to give you fast and efficient results. We make home inspection radon testing our top priority, which means if you need us to drop a test off during your home inspection tomorrow, we will be there. You will not need to worry about picking the test back up, that is something we handle directly. You can rest assured that we will have the test results 48 hours later. We offer radon testing for home inspectors at a discounted price of $105 instead of $160! Billing is easy, we can collect payment from your client, or if you prefer, we can charge you directly. Our technicians are licensed with The Ohio Department of Health and have the necessary training to complete radon testing and radon mitigation installations. If you would like to partner with us, fill out the form to the right. "As a Certified Home Inspector, I speak to all my clients about the importance of Radon testing in their home. I have the choice of many companies in my area, but Radon Eliminator offers great customer service, and flexible scheduling at a fantastic value." Scott H.